updated the skin. uses same base css, just new purty pictures. Hooray for UTAH. 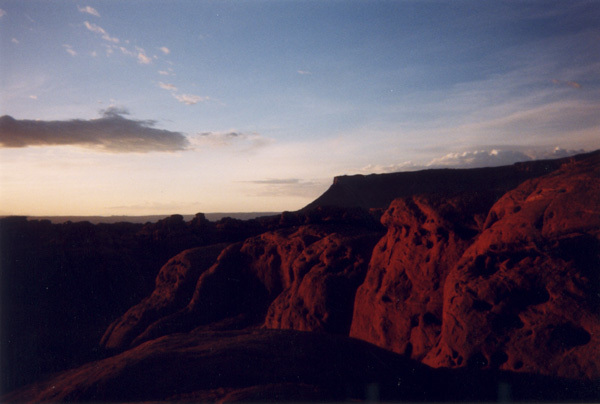 The main utah photo is from my trip with Paul to Canyonlands. This photo was taken just before it got totally dark, and i lost my way back to camp, resulting in me jumping off a cliff.